An extremely determined but completely outnumbered group of 300 Spartan soldiers refuse to yield to the unstoppable force of the entire Persian Empire. Spartan military tradition and mastery of the local terrain prevail until they were betrayed by one of their own, leading to their eventual slaughter and recognition as war heroes. The incident turns King Leonidas into a martyr and prompts all of Greece to finally respond to the Persian invasion. It’s very loosely based on the historical Battle of Thermopylae, the first military encounter between the ancient Persians and Greeks. As you can see, plot-wise, Frank Miller’s 300 doesn’t have much to offer, apart from a few surprises here and there. However, when it comes to the visuals, that’s where the book really shines. In his review Richard George writes, ”Despite having an incredibly shallow plot, the art and overall presentation of this graphic novel overwhelm the shortcomings.”. 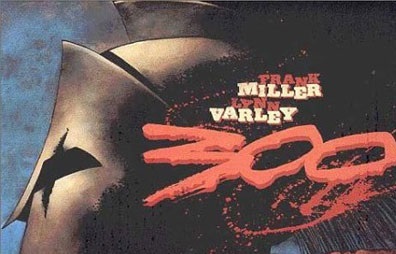 Visually, 300 is nothing short of Frank Miller’s best line of work, and the art is made all the more special by being coloured by artist Lynn Varley. Open the book at any page and you’ll instantly understand why it inspired movies and other retellings of the same story in different formats. The original book is practically a storyboard, a ready-made guide to gorgeous and practical cinematography. 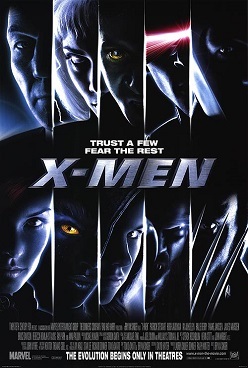 It can even be argued that the simplicity of the plot allowed Frank Miller to focus on the visuals. With the narrative being clear and unsubtle, it’s easier to visually tell the story as nothing else distracts from the art and how it progresses from panel to panel. 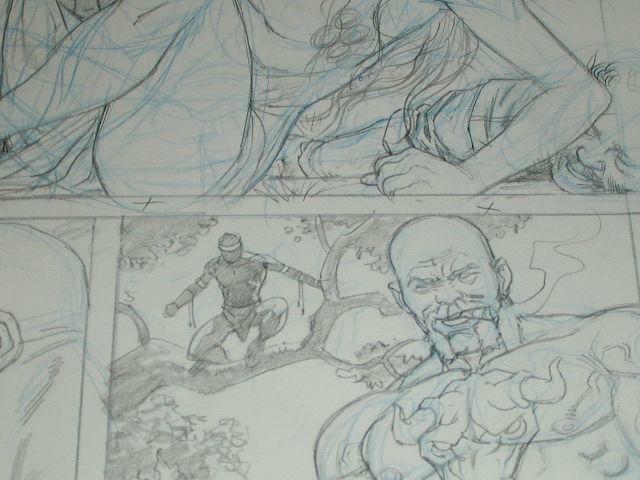 Each detail and visual choice gives the reader a deeper understanding of Sparta’s warrior culture. Every panel that conveys action tells a martial story that not even the movies could fully narrate. To paraphrase Alan Moore in his book Writing for Comics, comic books shouldn’t aspire to copy movies, instead comics should tell stories in ways that are only possible through the two dimensional format. Another notable thing about the art is that it’s done on over-sized panels – 300 is literally twice the size of standard comic books. As editor Diana Schultz explains on Thoughtco , an epic story needs an epic canvas in order to be told properly. And epic is easily the best way to describe 300. It’s a narrative that’s become so influential that it’s inspired movies, workout routines, costumes, and video games – all telling the same story of the ferocious Spartan warriors. For instance, 300: Rise of an Empire was the not-so-successful sequel to the original blockbuster movie that even spawned a video game of the same name. “The 300 Workout” is an exercise routine comprised of 300 overall reps – designed to turn you into “a real Spartan”. 300: March to Glory was a video game based on the Zack Synder’s adaption of Frank Miller’s comic. Another game that uses imagery and themes from the original movie is the Foxy Casino digital slot game 300 Shields. Like the other games it explores the story through impressive visuals, just like Frank Miller did. To this day, you can still expect to see at least one person dressed as a Spartan soldier from the movies next Halloween. All of this is because of Frank Miller’s 300 – each new cultural product is a testament to the impact of this original epic. 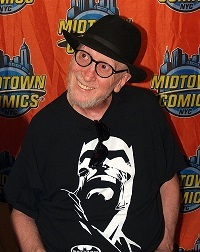 If you’re looking forward to Frank Miller’s new work, you’re in luck. Dark Horse has recently revealed new art from Xerxes: The Fall of the House of Darius and the Rise of Alexander. The highly anticipated companion book to 300 was also written and drawn by Frank Miller, who says that his new book tells the story of the larger clash between the Persian empire and Greece under Alexander the Great. What Are This Century’s Most Important Comic Superhero Films? Venom Movie. 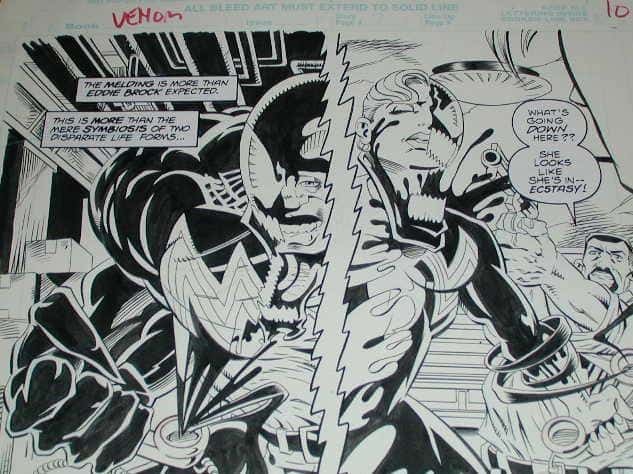 Maybe a SHE-VENOM? 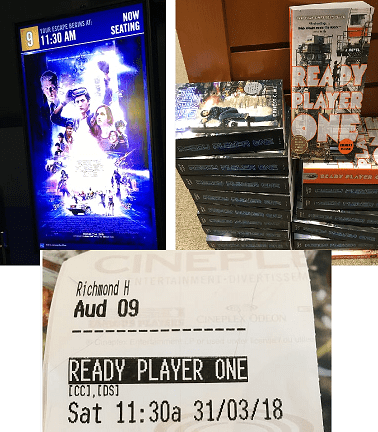 “Ready Player One” Movie maybe should have been called “Ready Player Two”. Missing Black Panther and Storm Page.